God resists the proud but gives grace to the humble. Therefore we humble ourselves under the mighty hand of God, That He may exalt us in due time, having cast all our cares upon Him, for He cares for us. We are sober, we are vigilant, because of our adversary the devil walks about like a roaring lion, seeking whom he may devour. We resist him, steadfast in the faith, knowing that the same sufferings are experienced by our brethren in the world. 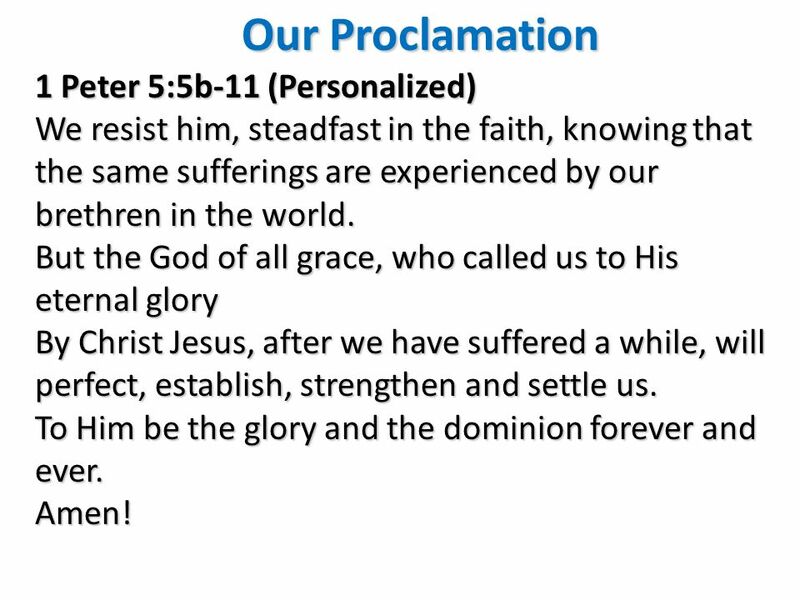 But the God of all grace, who called us to His eternal glory By Christ Jesus, after we have suffered a while, will perfect, establish, strengthen and settle us. To Him be the glory and the dominion forever and ever. Amen! 1. Ahead by 5 points with only 2 minutes left, Univ. of Alabama has possession at their 20 yard line. During the next play, the starting quarterback got injured. The 2nd stringer quarterback had to come in. 2. 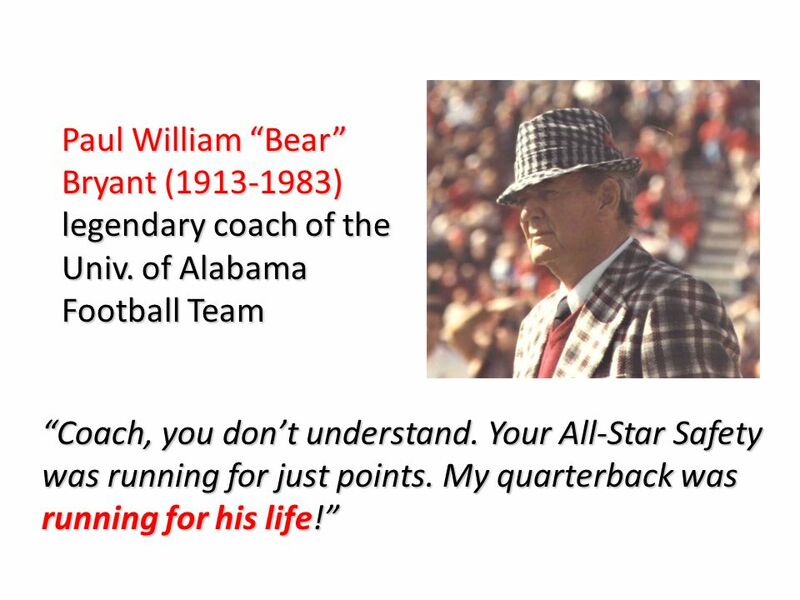 The opposing All-Star safety intercepted the weak pass and began to charge to his goal line, with only the Alabama quarterback in his way! 3. 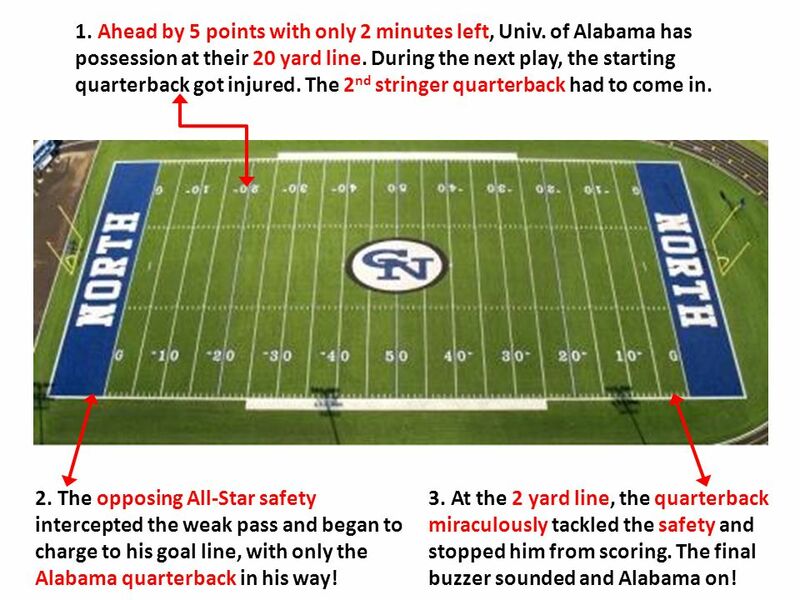 At the 2 yard line, the quarterback miraculously tackled the safety and stopped him from scoring. The final buzzer sounded and Alabama on! And even if our gospel is veiled, it is veiled to those who are perishing. 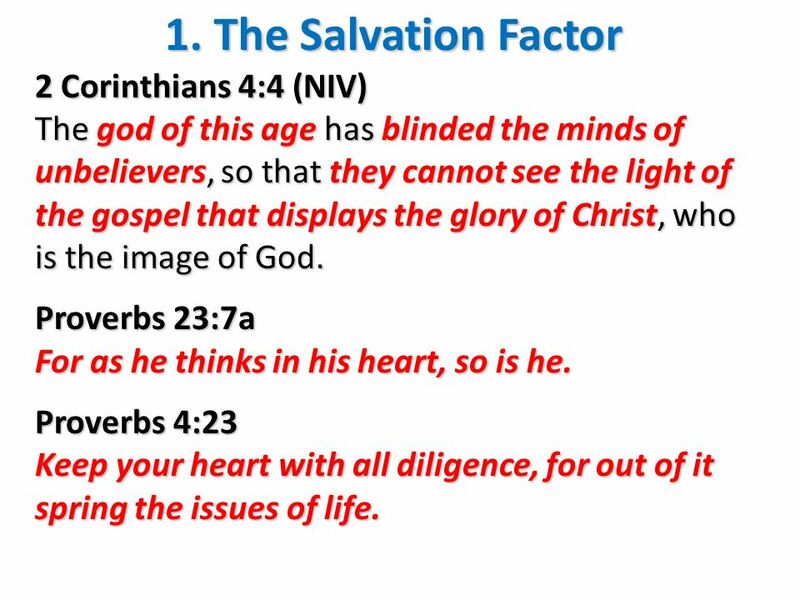 The god of this age has blinded the minds of unbelievers, so that they cannot see the light of the gospel that displays the glory of Christ, who is the image of God. Genesis 6:5 (NIV) The Lord saw how great the wickedness of the human race had become on the earth, and that every inclination of the thoughts of the human heart was only evil all the time. 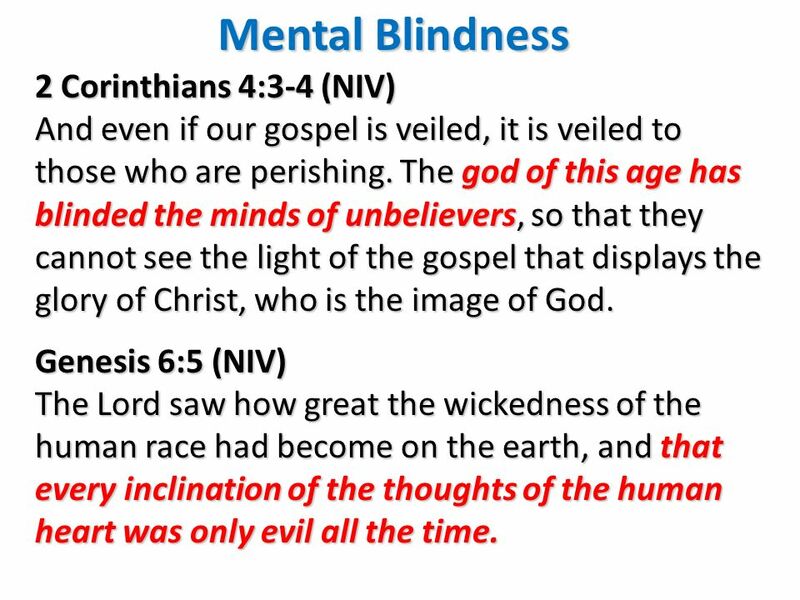 The god of this age has blinded the minds of unbelievers, so that they cannot see the light of the gospel that displays the glory of Christ, who is the image of God. Proverbs 23:7a For as he thinks in his heart, so is he. Proverbs 4:23 Keep your heart with all diligence, for out of it spring the issues of life. For to be carnally minded is death, but to be spiritually minded is life and peace. 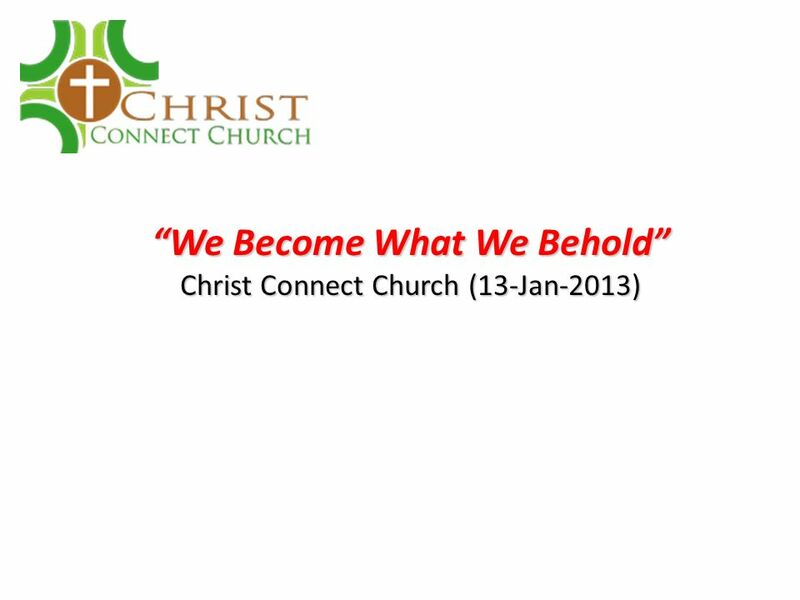 Colossians 1:21 (NIV) Once you were alienated from God and were enemies in your minds because of your evil behaviour. 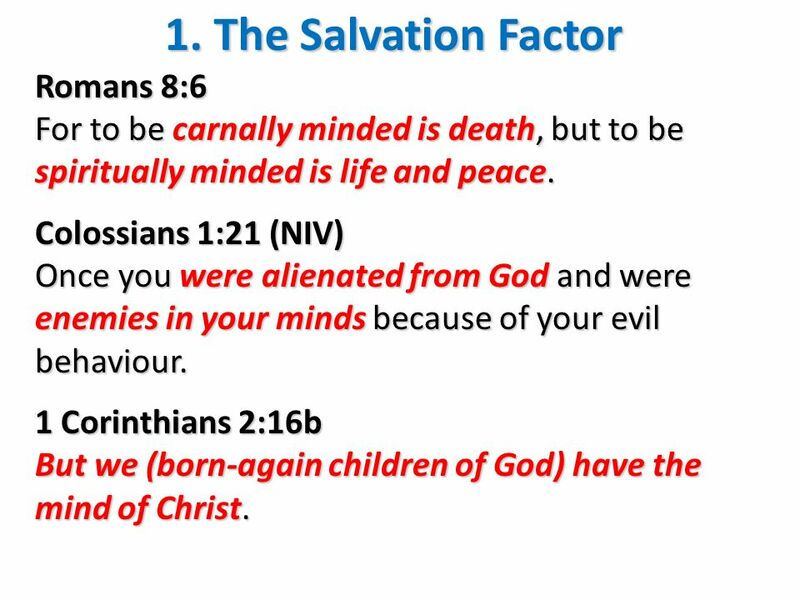 1 Corinthians 2:16b But we (born-again children of God) have the mind of Christ. We demolish arguments and every pretension that sets itself up against the knowledge of God, and we take captive every thought to make it obedient to Christ. 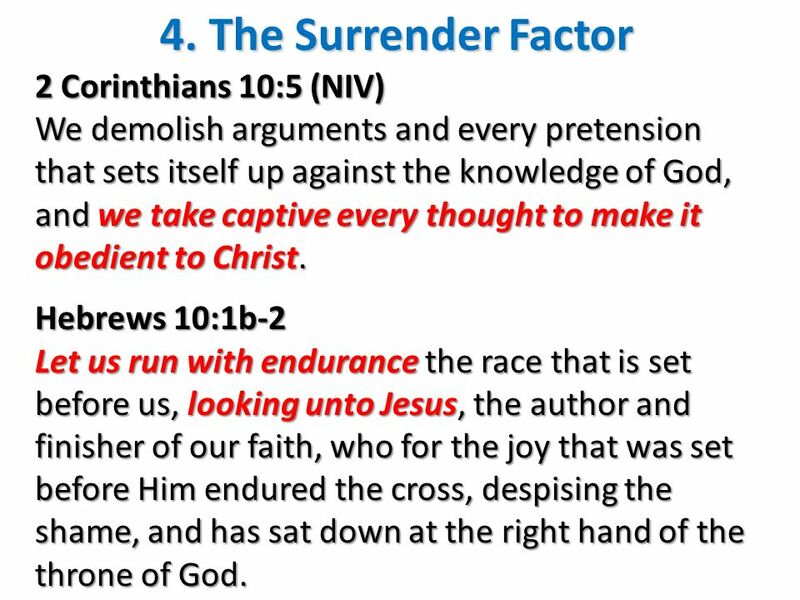 Hebrews 10:1b-2 Let us run with endurance the race that is set before us, looking unto Jesus, the author and finisher of our faith, who for the joy that was set before Him endured the cross, despising the shame, and has sat down at the right hand of the throne of God. 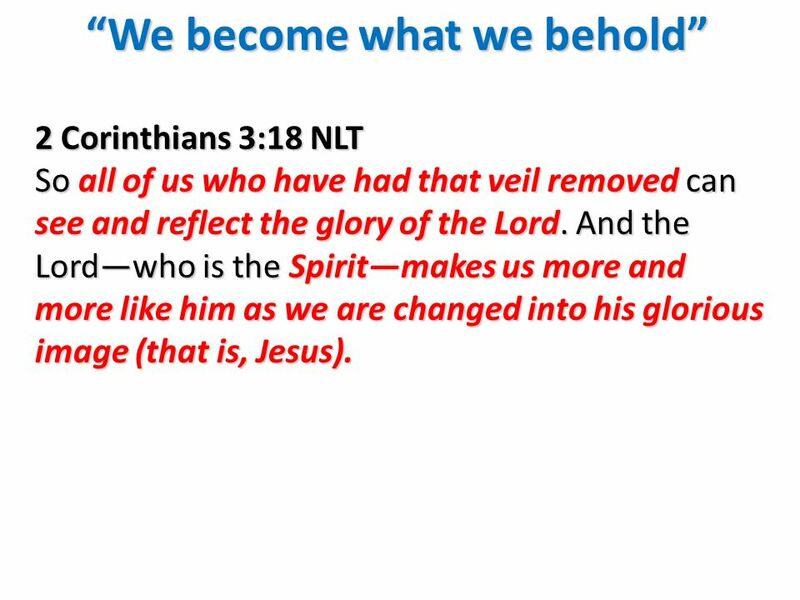 2 Corinthians 3:18 NLT So all of us who have had that veil removed can see and reflect the glory of the Lord. And the Lord—who is the Spirit—makes us more and more like him as we are changed into his glorious image (that is, Jesus). 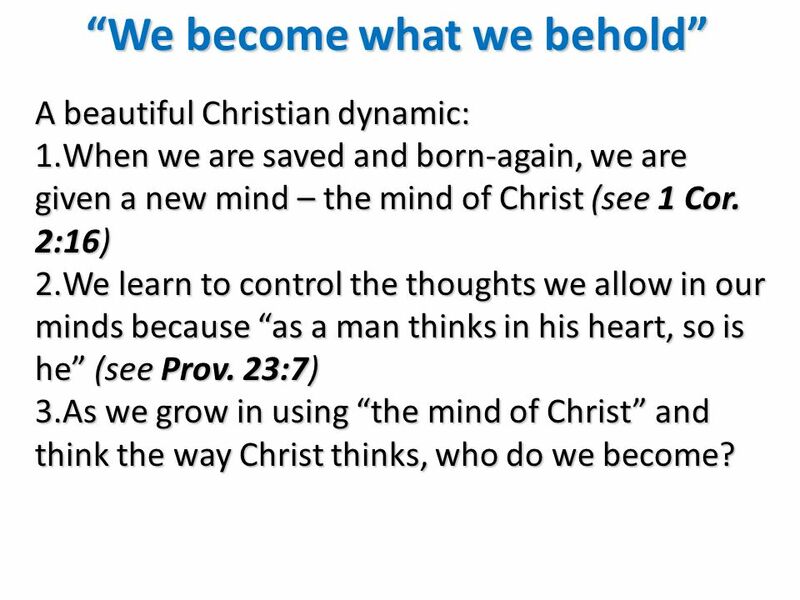 A beautiful Christian dynamic: When we are saved and born-again, we are given a new mind – the mind of Christ (see 1 Cor. 2:16) We learn to control the thoughts we allow in our minds because “as a man thinks in his heart, so is he” (see Prov. 23:7) As we grow in using “the mind of Christ” and think the way Christ thinks, who do we become? 15 A. 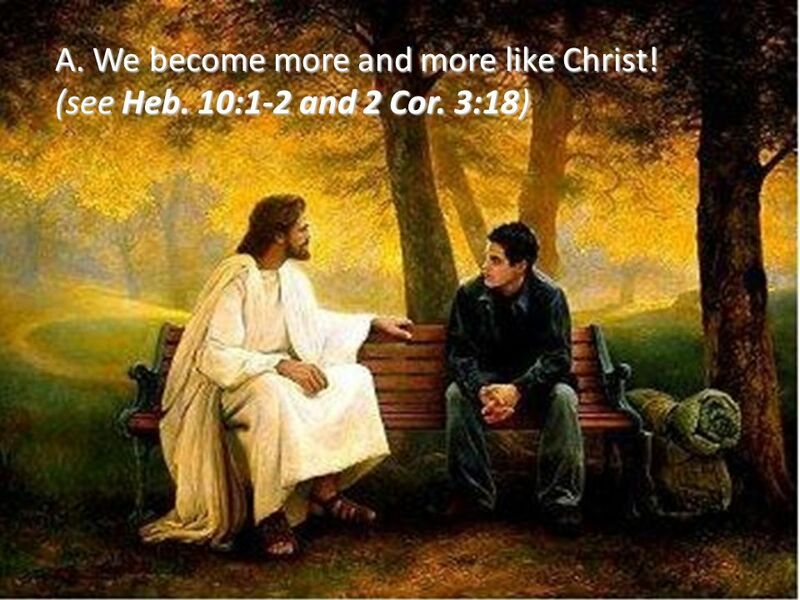 We become more and more like Christ! 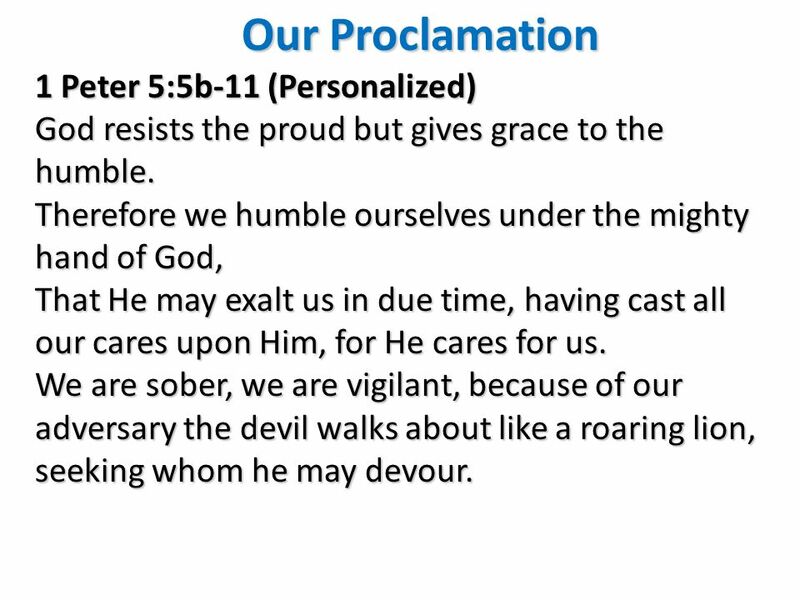 Download ppt "Our Proclamation 1 Peter 5:5b-11 (Personalized)"
Life s Tough Questions Part 4. 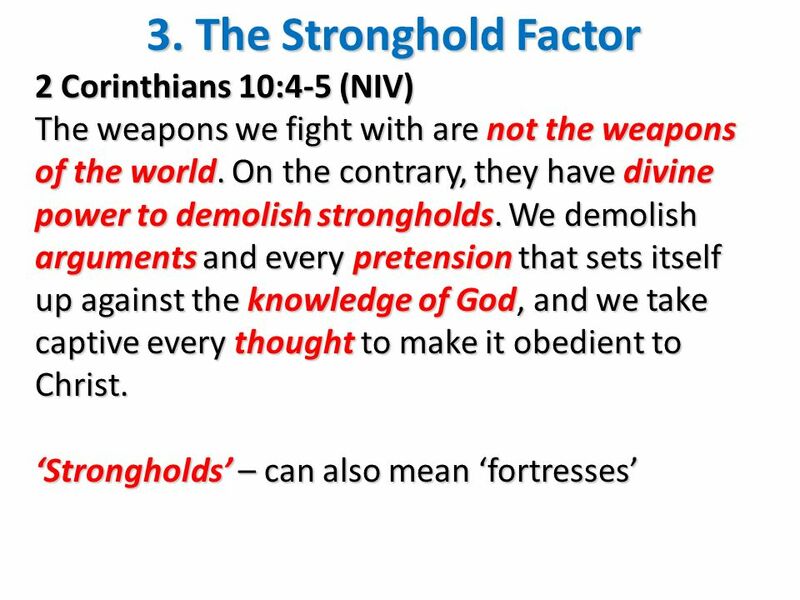 2 Corinthians 10:3-6 (NIV) 3 For though we live in the world, we do not wage war as the world does. 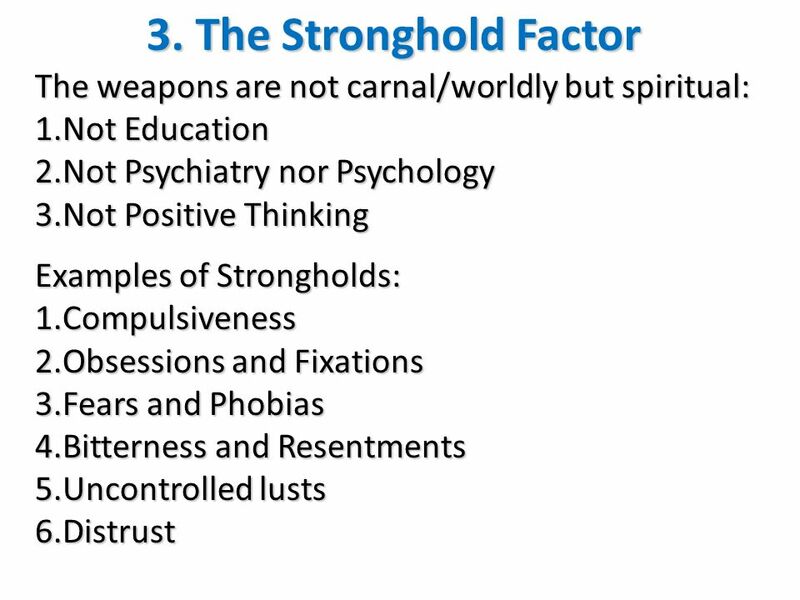 4 The weapons we fight. Running Life’s Spiritual Race with Endurance Running with Focus Hebrews 12:1-3. As the End Approaches 2 Timothy 4: For I am already being poured out as a drink offering, and the time of my departure is at hand. 7 I have fought.  Satan isn’t always easily recognizable › He can appear as an angel of light. Welcome To Pastor Garry Clark’s PowerPoint presentation from the August 5 th sermon: Know The Power Of The Wave Welcome To Pastor Garry Clark’s PowerPoint. GOD’S PURPOSE AND DESTINY FOR US. PREPARE FOR BATTLE! 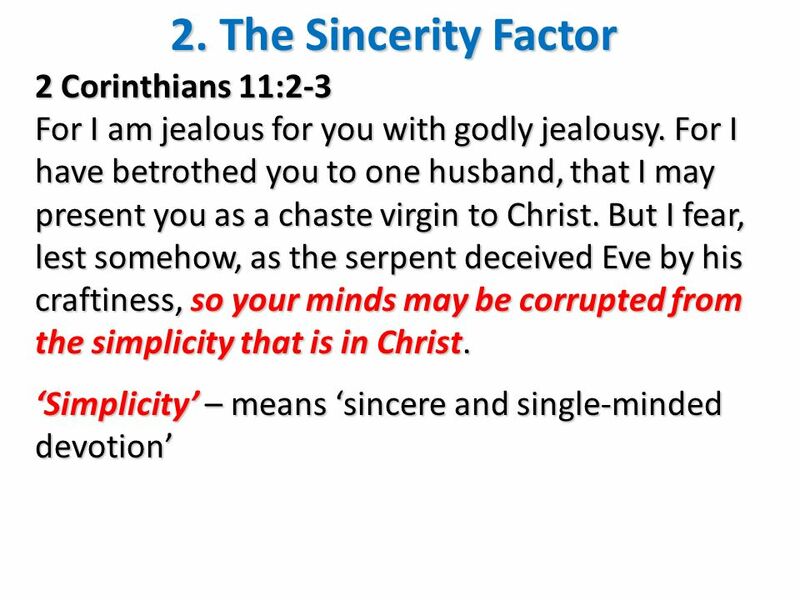 How to Overcome Temptation “No temptation has overtaken you except such as is common to man; but God is faithful, who will not allow you to be tempted. Jesus said I am _______________of the world Light John 8:12 When Jesus spoke again to the people, he said, “ I am the light of the world. Whoever.